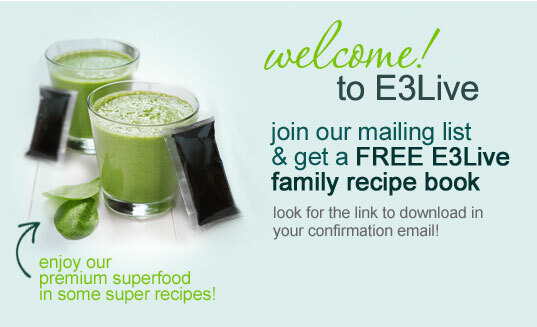 Watch informational videos about E3Live and its amazing health benefits. Be sure to also browse our audio files (in navigation at left). If you would like more detailed information about any of the items listed below please contact us at (888) 800-7070. Watch this short overview of the origins of E3Live and E3Live + BrainON, our Klamath Lake blue-green algae products. E3 Live : The Origins Of E3 Live / BrainOn Klamath Algae Products from Shots by Jules on Vimeo. please visit our video page on Pinterest. please see our specials page for current offers, many thanks! pulls out of her freezer!